Mayor Noam Bramson addresses the Bisnow conference in New Rochelle. 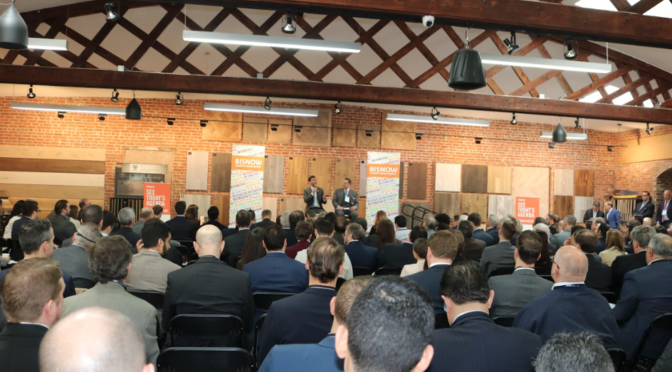 A terrific event for our city this morning, as almost 350 development and real estate professionals from throughout the region gathered on Main Street for a conference focused on New Rochelle’s innovative downtown development plan. I was pleased to lead off the conference with comments about New Rochelle’s goals and opportunities. Then two panel discussions followed, with testimony from various developers, planners, and investors. To say that the crowd was bullish on New Rochelle’s prospects would be an understatement. With about fifteen significant projects either underway, approved, or soon to be unveiled in our downtown — and a bunch more still to come — New Rochelle’s economic momentum is strong and building. 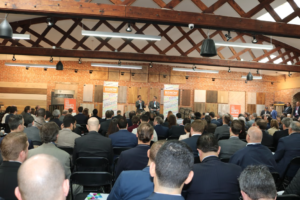 Big thanks to Bisnow, which sponsored and organized the conference, and to the City’s Development team which helped put it all together.